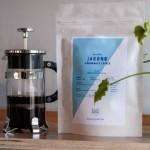 A Blue Coffee Bag subscription gives the a journey into the world of "Speciality Coffee" (top 2% of world coffee) and makes the perfect gift for coffee lovers. They will experience coffee from over 17 countries, all hand-roasted in the UK by the different guest artisan roasters each month. This is the best coffee you've ever tasted. 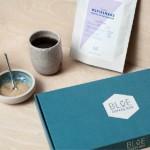 Each bag contains 227g of a single-origin coffee in letterbox friendly packaging with tasting and origin notes. And every bag of coffee is covered by a unique Taste Guarantee. Our coffee beans are ethically sourced direct from the farmers in their country of origin. They are paid 30% more than Fairtrade prices and the extra money enables them to provide for their families and invest in quality crops. Single origin coffee is as varied as a high quality wine or a single malt whiskey. Each has hints of flavours from fruit and floral to chocolate and nuts. Different countries produce totally different coffees and it takes a specialist roaster to bring out the real flavour. Our roasters are from the top 20 of the UK's 300+ craft roasters and we feature new guest roasters each month so no two coffees taste the same. The coffee is freshly roasted every week. It's a continuous journey of discovery. Be the first person to tell us what you think about Blue Coffee Bag and you'll save £2.50 on your next purchase!